Three years have passed since the official release of original Microsoft HoloLens, and the "second generation" of Mixed Reality (MR) devices like Magic Leap One and HoloLens 2 have been announced. Wider and practical applications become available for MR technology. At this state, the communication technology to connect these 2nd gen MR devices between each other and to the cloud is more and more important. Now HoloLab Inc. has announced its participation to DOCOMO 5G Open Partner Program (5GOPP), to challenge the innovation through "5G x MR". As a part of the "5G x MR" activity in 5GOPP, HoloLab joined the opening ceremony of "DOCOMO 5G Open LabTM GUAM" in March 27th. 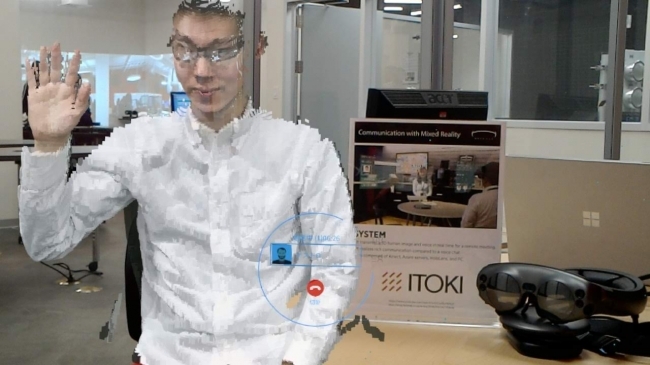 HoloLab demonstrated the next generation 3D real-time communication system and connected their development partner ITOKI Corporation’s office in Japan and DOCOMO 5G Open Lab GUAM assembled with 5G communication equipment through the internet. 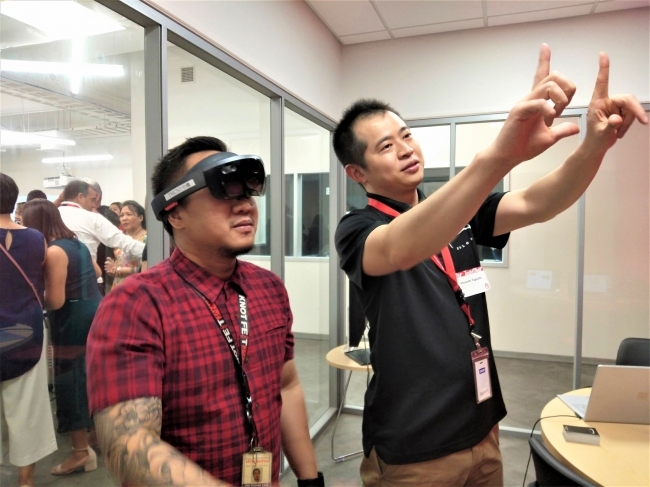 The attendee of DOCOMO 5G Open Lab GUAM opening ceremony equipped MR devices like HoloLens and Magic Leap One and could talk in real time to the person sitting in front of a 3D sensor system in Japan (approx 2,500 km away), in a lively and rich manner. 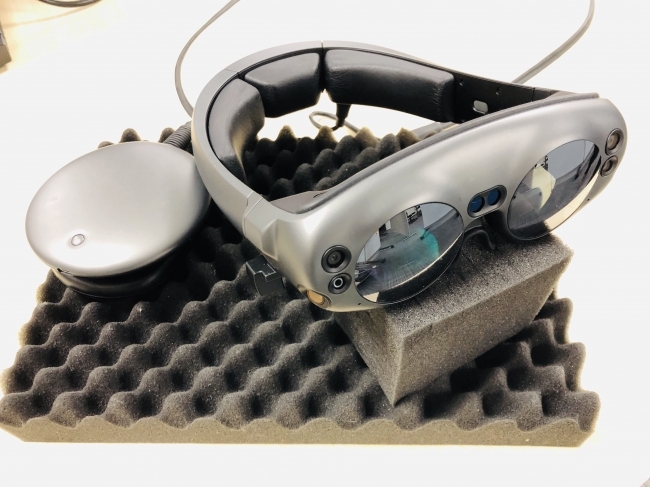 Other than HoloLens, HoloLab demonstrated Magic Leap One as one of the client devices for its system. In Japan, Magic Leap One is not yet available and is illegal to use due to the lack of the certification of the conformity of the technology law regarding its wireless communication. HoloLab is going to challenge the possibility of how 5G x MR can solve the customer issues and create more value, in Japan, Guam and worldwide. *DOCOMO 5G Open Lab is a trademark of NTT DOCOMO, INC.